The journey to Ladies First Disc Golf all started with my Kool aid stand as a kid along with the love of games and the outdoors. 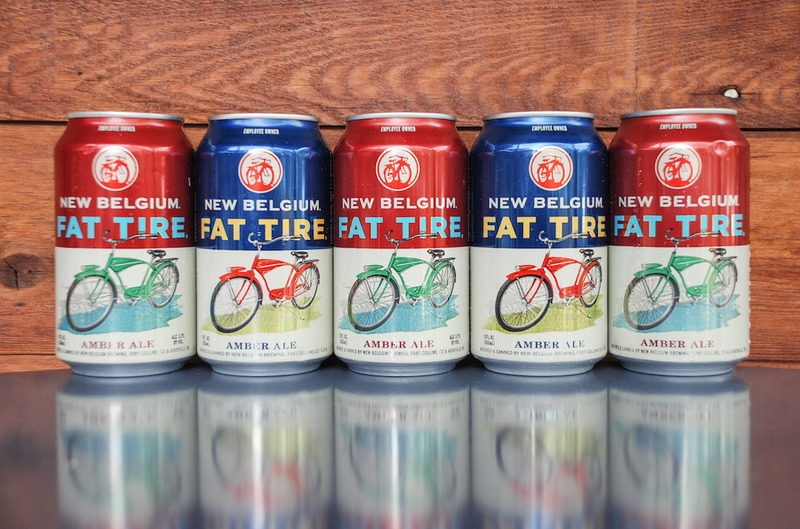 From a young age, it was important to me to help others and if people were thirsty, I was ready to help with a refreshing beverage. I was there to help them quench their thirst. As a kid I also enjoyed the fun and competition of bowling, card games, softball, soccer and playing neighborhood games with the other kids on my block. All these activities shaped my love for disc golf, the outdoors, business and ultimately helping others. 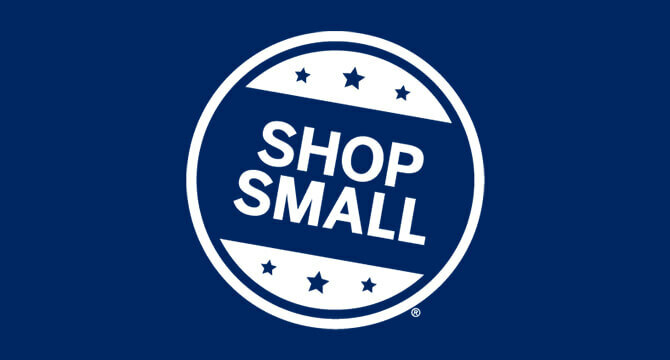 Why do small businesses matter to me? Since I have been in the workforce I have worked for small businesses. 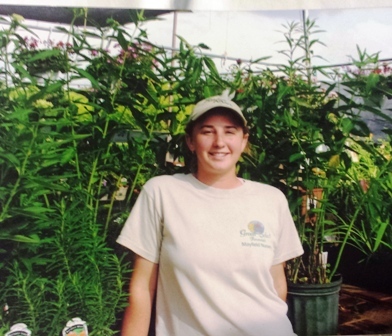 I spent the first 8 years of my adult career working at a garden center, which was owned by a father and his sons. I appreciated the freedom and trust in me from this company to make decisions at such a young age. My position as assistant manager provided knowledge on sales, merchandising and being a helpful representative to the local gardeners. 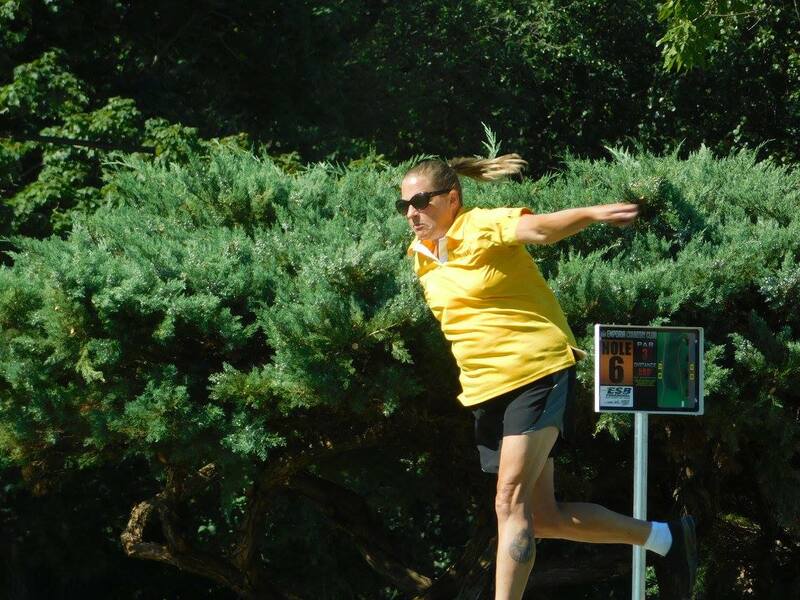 I started playing disc golf tournaments in 2009 and the garden center work schedule made it difficult for me to play weekend events. I sought out a job that would allow for a better work schedule and still allow me to work with plants. In 2010 I found my dream job (and still have it) at Holland Beauty where I sell flower bulbs & plants through our two websites Holland Bulb Farms and Tulip World. Holland Beauty is a small business started 35 years ago by a Dutch man named Art, it is still owned and operated by him and his son in law (who is my boss). Holland Beauty is a small company where everyone helps out, ideas run freely and we are able to hear our customer’s needs. From this job I have learned about e-commerce, social media, customer service, and providing products and resources for people who have a hobby that is also a lifestyle. 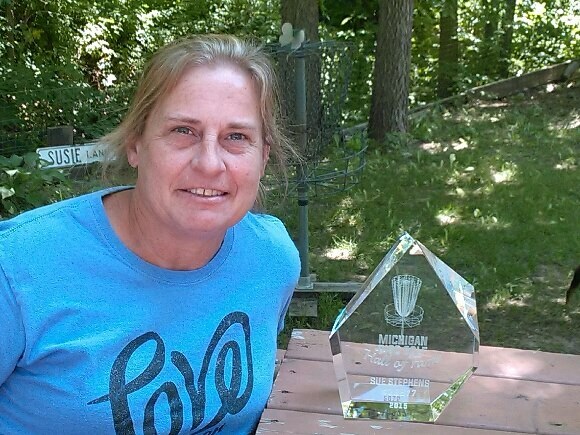 Why women’s disc golf matters to me? 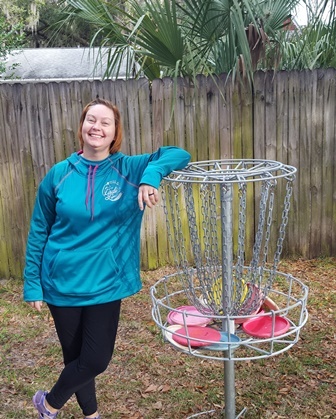 I first started playing disc golf in 2008 it was me, my boyfriend (now husband) and a group of great guys who would play together. 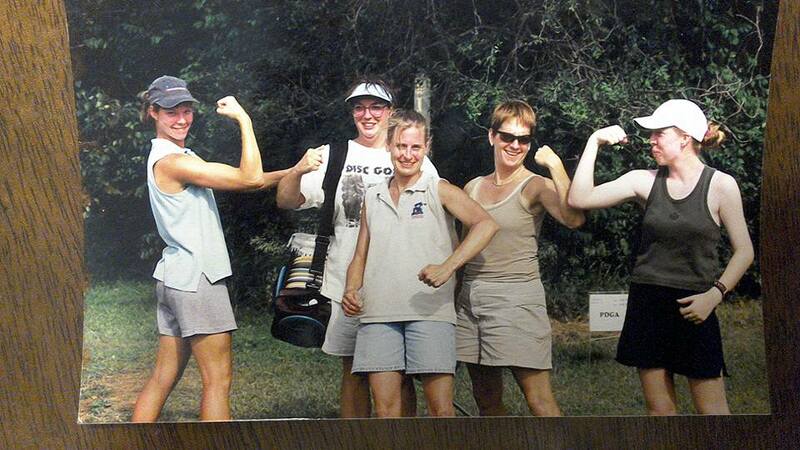 We all played in our first disc golf tournament in 2009. At this tournament there was only other woman in my division. Other events I played that year had anywhere from 3-4 women to compete with; so more than the first tournament but nowhere near the amount of men who were competing. In 2010 there were more women playing, but still a smaller amount than the male divisions. I realized that in order to get more women playing, the ladies in the area needed to be connected somehow. 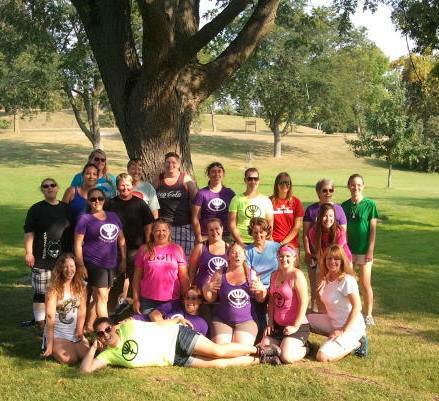 I created a Facebook group called the Upper Midwest Women’s Disc Golf Group. I wanted a place where women could post events they are playing in an effort to get more women at that event, and this group certainly helped with that. Creating this Facebook group was only the beginning for me. 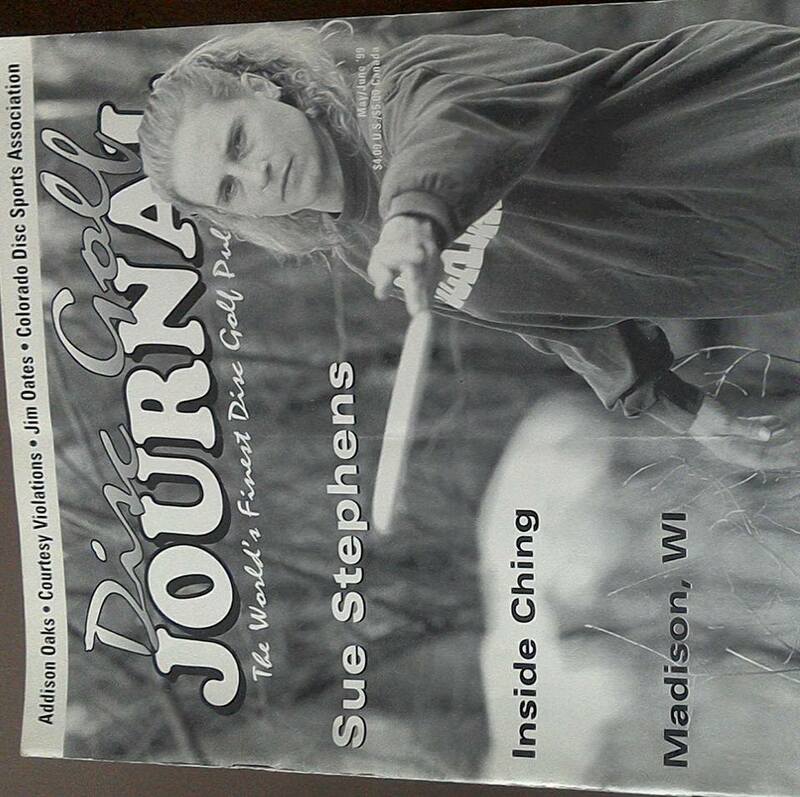 In 2012 I worked with some other ladies in the Milwaukee area to form a group called Brew City Ladies Disc Golf. It was intended to be a local ladies league in Milwaukee, WI. 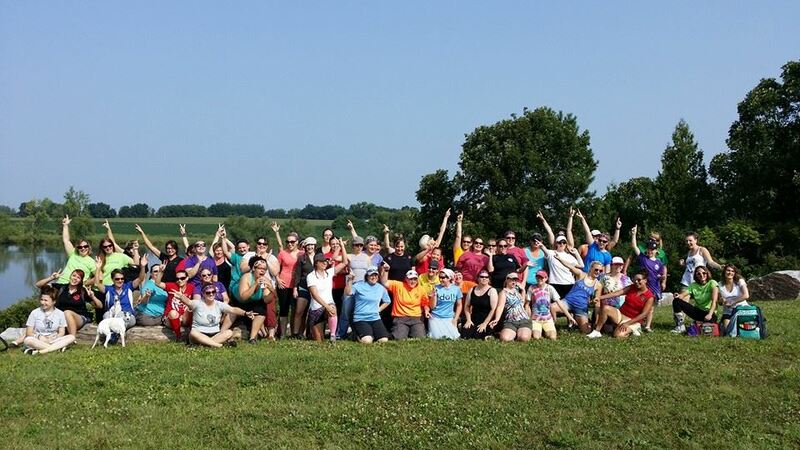 At that same time the Brew City Ladies Disc Golf was forming a group of ladies in Appleton, WI had formed the Disc On! Ladies League (DOLLs). Our groups met up for a travel league in fall of 2012 and decided to merge our groups into one. Other women through out the state also wanted to host ladies leagues, and the DOLLS became a state wide league. One of our goals was to have a women’s only tournament in Wisconsin, and we accomplished that goal with the Wisco Disco in August of 2014. The Wisco Disco is now successful and fun annual event in Wisconsin. Disc On! Ladies League currently has leagues in Wisconsin, Michigan, Iowa and Illinois. Disc On! Ladies Leagues bring great joy to the women who play in them. The ladies who participate in these leagues have a group of ladies to play casual, league and tournament rounds with. 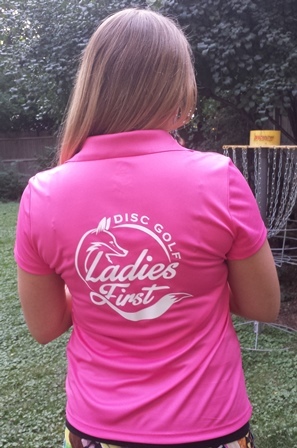 Meeting and playing with women of all different skill levels combined with my love for making people happy, is how and why Ladies First Disc Golf was formed. In 2015 things were in a transition period at my day job selling flower bulbs and the company was scaling back to its roots and became even smaller than the team of 20 we had. During this transition period it certainly put some things into perspective for me. I have always enjoyed coming up with new business or products ideas. 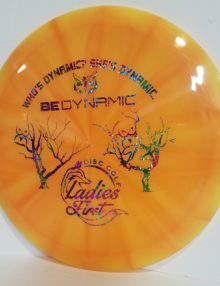 I started thinking about women’s disc golf and how confusing it can be to purchase discs when you are first starting out. Also, how frustrating it was for me when to trying to purchase light weight or female friendly discs either in person or online. 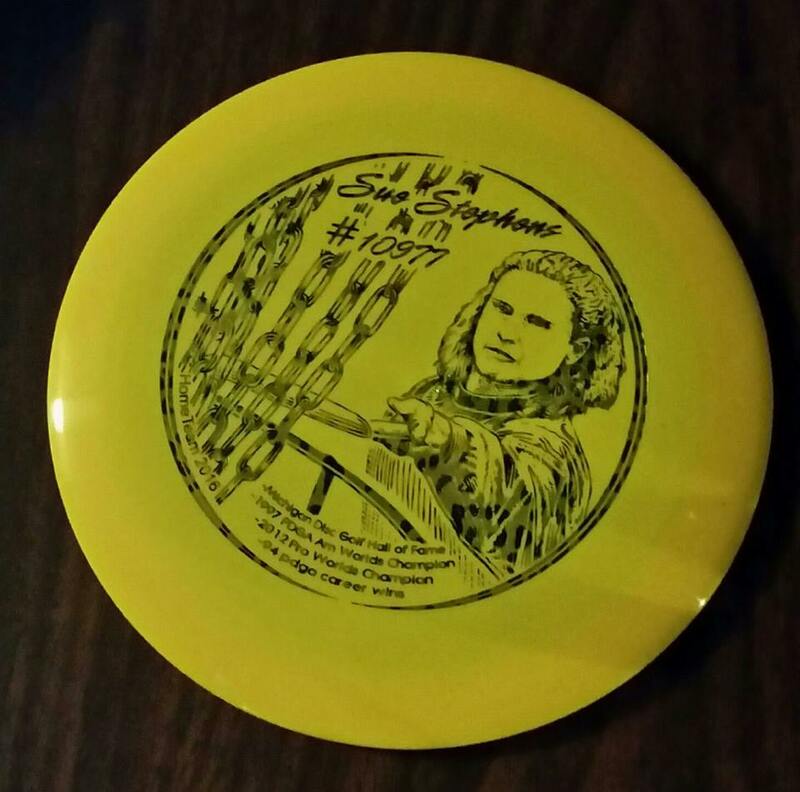 There are certainly companies out there that carry women friendly discs, but no one was specializing in carrying an assortment of discs that were best for female players. 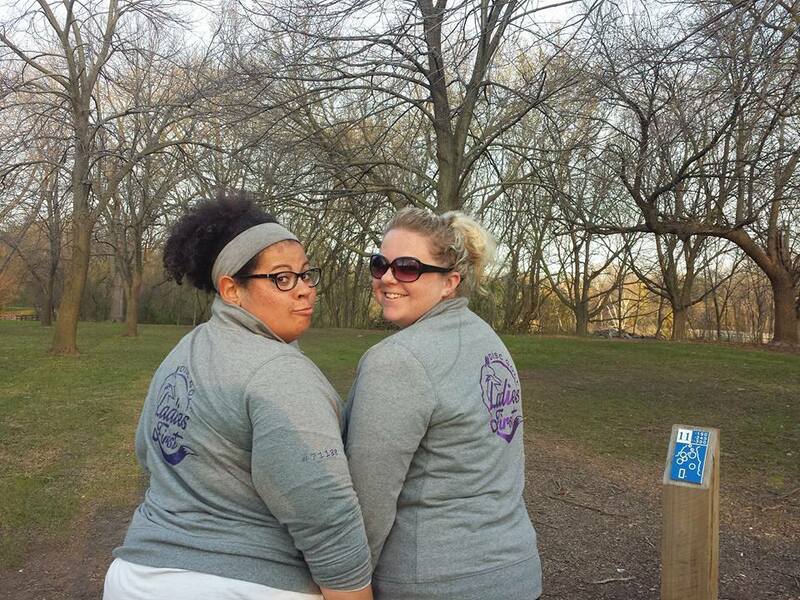 Apparel is an important part of Ladies First Disc Golf. Over the several years of playing tournaments I had accumulated a lot of disc golf t-shirts that were men’s sizes and just didn’t fit the right way. Or women’s shirts that were too small or not figure flattering and ended up sitting in a drawer not being worn. 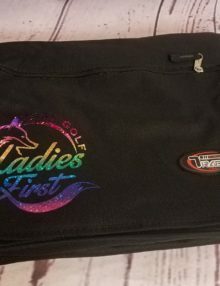 I had determined that there needed to be a company that had products focused only on the women of disc golf, discs we throw, and apparel that we wear. Apparel that is not only comfortable but stylish as well. 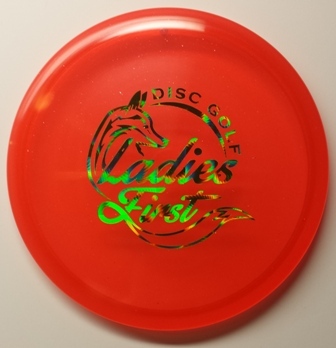 Disc golfers like to accessorize and show their disc golf pride in any way they can. 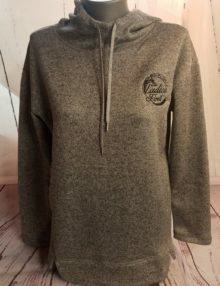 On social media I was connected with women who had talents and items they were creating like disc golf necklaces, knit goods and other accessories. Including and working with other small business owners to provide a place they can sell their hand made accessories is important for growth on all levels. Disc golf is family to many and families support each other. Whether you are doing your part by purchasing from your favorite local disc golf shop or shopping online at your favorite disc golf website it is important to support those who are family. Disc golf is life for me, pleasing the ladies of disc golf is what I strive for every day. 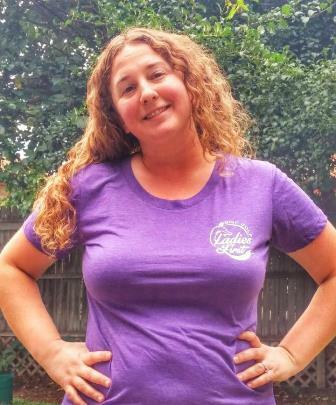 I look forward to serving our customers, creating beautiful items, while growing disc golf for ladies, and that is why small businesses matter to me. We have heard that you were the first or among the first women to go on tour. When did you start touring, and what was the most difficult thing about being on tour early on? 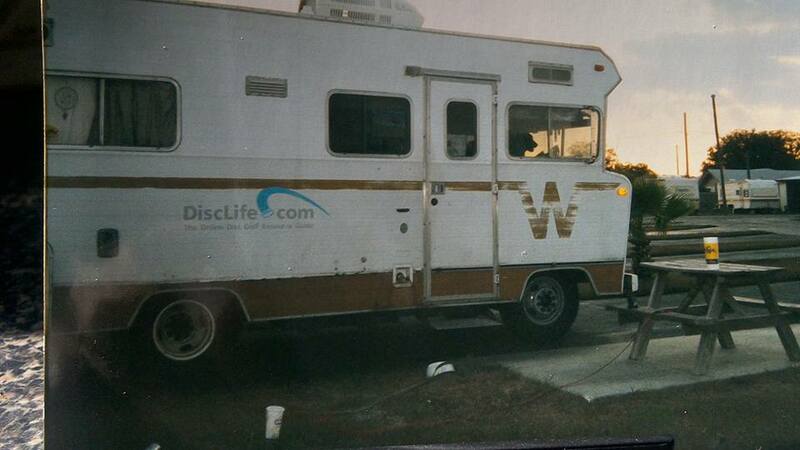 I started touring in 1999, I decided to quit my job, sell my house, and hop in the 1973 Winnebago with Al Shack and Todd Branch. Some of the difficulties were long distances between tournaments and small women’s divisions. I did get to meet a lot of great people and see a lot of beautiful courses. Do you primarily throw forehand or backhand? 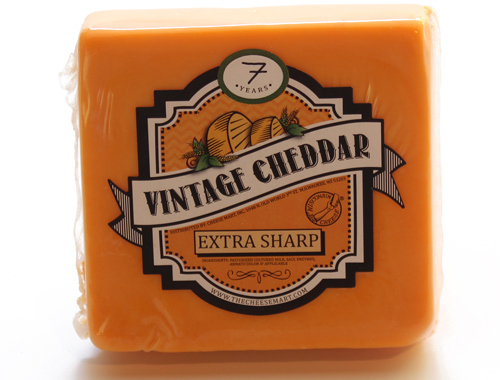 I love cheese, sharp cheddar is probably my favorite. What are your 3 favorite courses in Michigan? Putting, driving or approach? 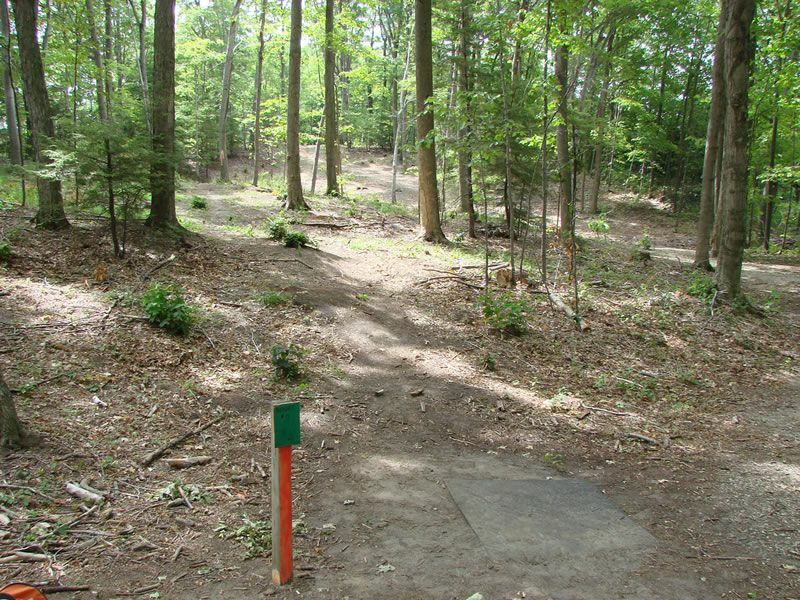 Which of these is the strongest part of your disc golf game? I think that my driving is my strongest part of my game, I think if I would spend more time practicing putting I would shave off some strokes. What 3 courses in the world would you like to play that you haven’t had the opportunity to play yet? I’m not sure, I have never been to Colorado, maybe something in Hawaii, and Johnson park one of my favorite local courses is being reinstalled and I think they will be using it for world’s next year. If you could have a tee off song what would it be? I like a lot of different music, mostly hard rock, usually something fast to get me pumped up. 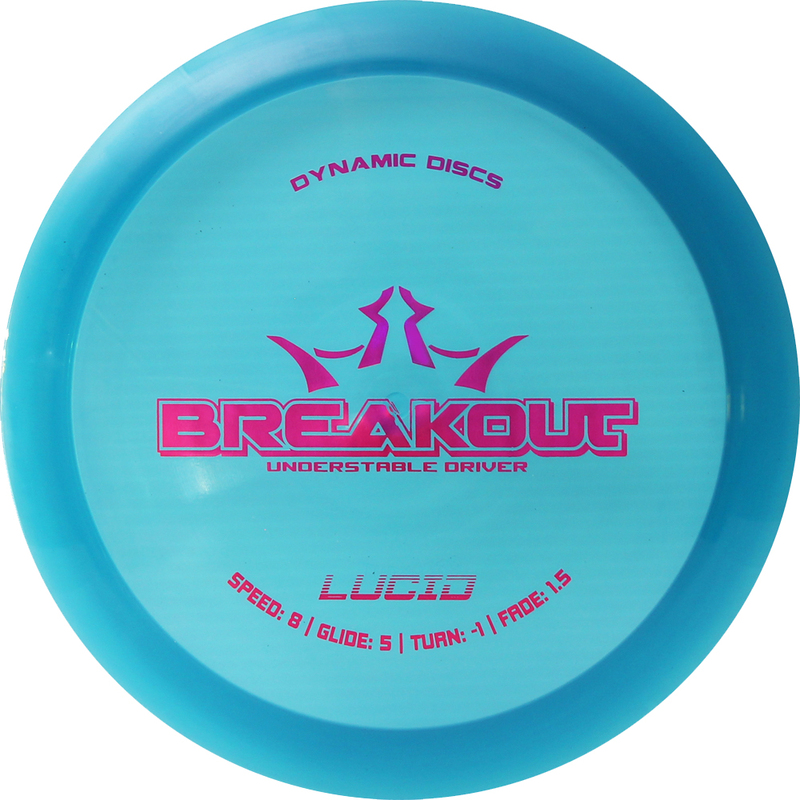 You are a 3 time world champion, taking 1st in Grandmasters Women in 2016, 1st in Masters women in 2012 and 1st in the Advanced Women’s’ Division at Amatuer Worlds in 1997, any advice on how to deal with the high pressure that comes along with competing and winning a major disc golf event? Practice the courses, know what all your disc do even your backup disc, bring enough water and a snack, have confidence in yourself, practice putting a lot. What is the biggest piece of advice you have for someone who is thinking about going on tour? Pre register for the tournament, try to get to the course a few days early to check it out, find out who the local sponsors are and check them out to thank them, have fun, stay positive, be a good role model.